In Dr No, M is preparing to meet with James Bond following his recovery from the near-death experience he suffered at the end of From Russia With Love. He is on the phone with Sir James Molony, consulting with him as to whether 007 is fit to return to duty. While Sir James deems it wise to perhaps ease Bond back into duty, M has no intention of coddling his star agent. Dr Peter J. Steincrohn (1899-1986) was a real person, a real Doctor, and a prolific writer, penning almost 30 medical books aimed at the layperson, in addition to being a long-running syndicated newspaper columnist and radio and TV guest. Dr. Steincrohn received his medical degree at University of Maryland Medical School in 1923 and interned at Muhlenberg Hospital, Plainfield N.J. He did Postgraduate work at Massachusetts General and Beth Israel Hospital in Boston, then established practice at Hartford, Conn, as an Internist and Cardiologist. From this clipping, it appears that Dr Steincrohn originally penned the words M later uses in the October 1949 issue of The American Magazine. 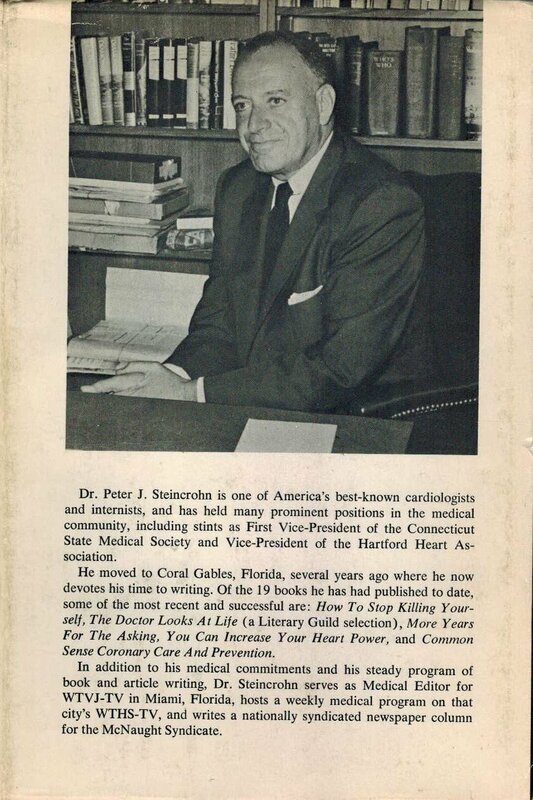 Dr Steincrohn was considered something of a “Medical Maverick,” although espousing theories not commonly held by other physicians of his day, he was also ahead of his time in many ways, talking about issues such as heart disease and anxiety. His newspaper column was the longest running of its kind, going for over 30 years. I had a chance to speak with Dr Steincrohn’s daughter, Maggie Davis, who remembers him as “embracing, caring, beloved,” and that he always had a “twinkle in his eye.” She noted that in her father’s private practice, he had both wealthy and poor patients, and it was important to him to make sure all of them were treated the same. It was his habit to talk to each patient for an hour before beginning any sort of examination.He ended up becoming friends with many of his patients. The Doctor didn’t merely treat his patients by rote, his daughter recalls him saying “Treat the patient, not the disease.” Among his colleagues he was known for his ability to diagnose and to ease pain. Included in his patients was the actress Gene Tierney. 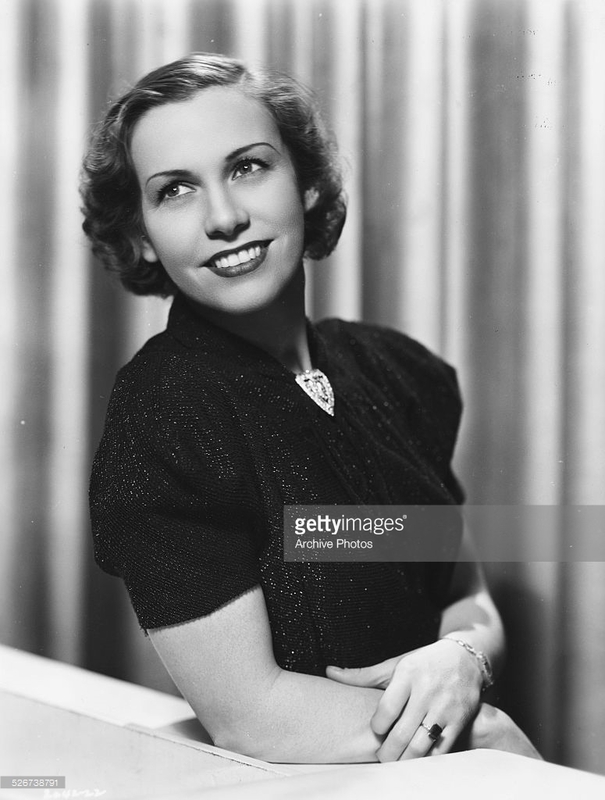 Dr Steincrohn was married for 50 years to Patti Chapin who was a singer for CBS Radio in the 1930’s on the Palmolive Hour. She also screen-tested for Hollywood, but chose instead to get married and raise a family. Davis believes that Dr Steincrohn was aware of the above quote from Dr No. Peter J. Steincrohn, M.D. is a Fellow of the American College of Physicians and the American Medical Association. A practicing internist and cardiologist for twenty-five years, Dr Steincrohn is a McNaught Syndicate columnist for over a hundred newspapers throughout the United States and Canada. He has written articles appearing in leaving magazines, including Esquire, Look, Saturday Evening Post and Reader’s Digest. If you’re interested, here is a beautiful piece written by Maggie Davis about the last years of her parent’s lives.